Le Vernis Nail Colour in Quartz (525) is another one of Chanel three limited edition nail polish colors for fall 2011 and the second one I picked (you can see Peridot 531 here). As I mentioned the other day, I passed on Graphite because it's just not my kind of color. I'm weird this way; I'll wear a greenish gold on my nails but not a glittery charcoal/gunmetal (or black, for that matter). Quartz is the easiest to wear out of this Chanel trio and the one you're most likely to pick during the week. 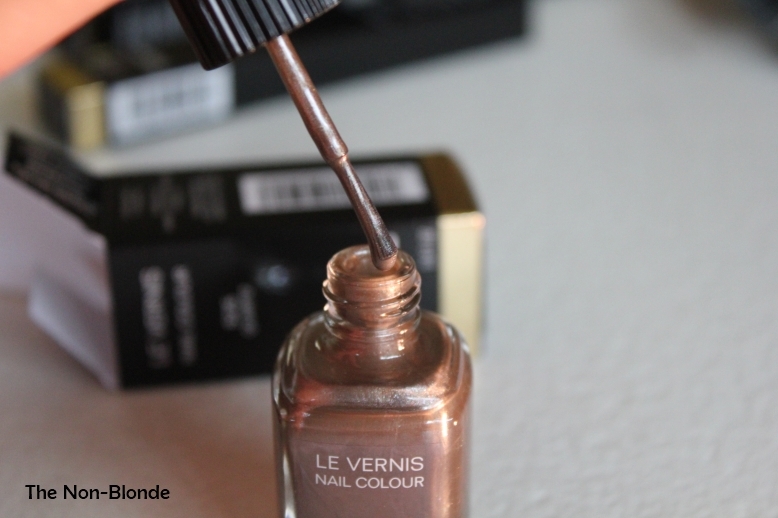 It's a light silvery taupe, smooth, more frosty than shimmery that requires 3 coats to come into its own (one coat looks like dirty water). 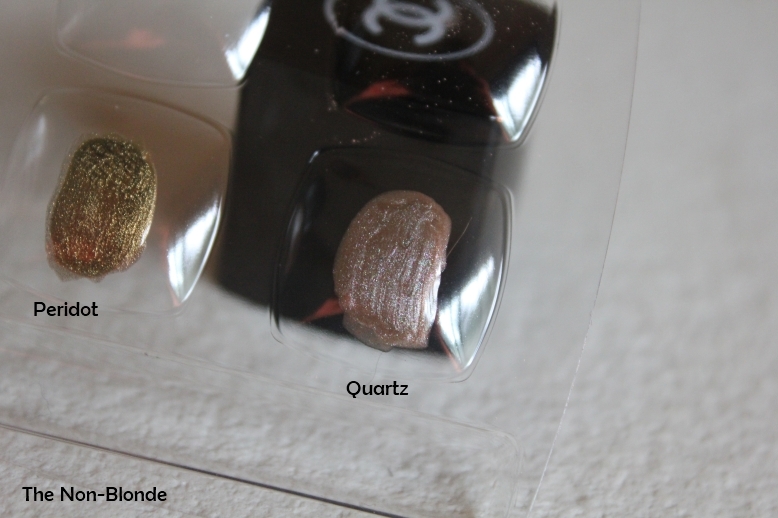 I know some would be bored with the subtle color of Quartz. 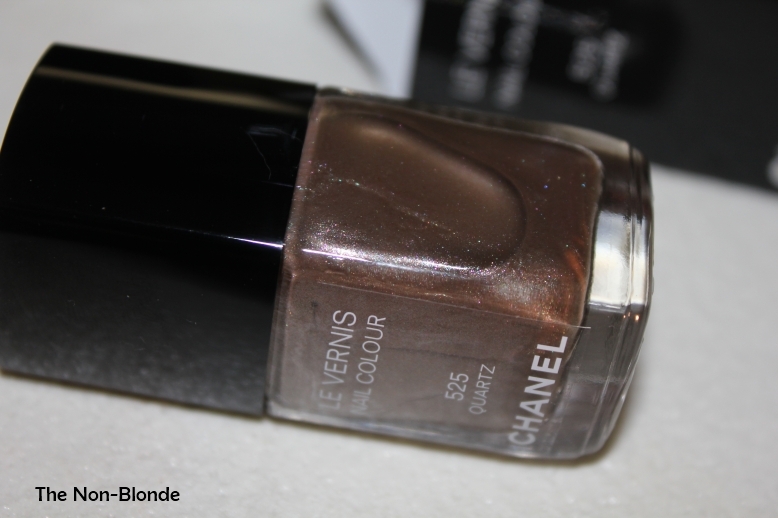 But this is a Chanel fashion shade and it has more to it than you see at a glance. The color shifts between silver taupe and an almost beige champagne kind of warmth. It's not as distracting as Peridot (seriously, I've been typing up a storm but keep stopping to marvel at the fascinating way the light is reflected in my nails and the various shades of gold and green that manifest), but it is complex and utterly gorgeous. Bottom Line: you can't go wrong with this one. 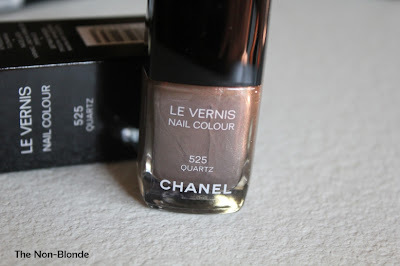 Chanel Quartz 525 Le Vernis Nail Colour ($25) is limited edition for fall 2011. 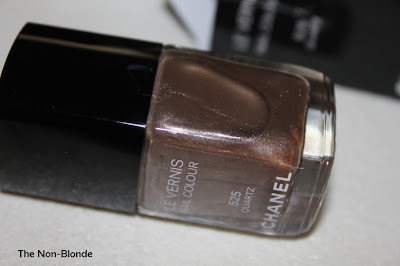 It's currently available at the counters and from chanel.com. I know what you mean, but I find that I don't mind applying two or three coats of Quartz when I'm in the mood for something more neutral (I wear lots of DVF prints or funky jewelry that require toned down polish). Hm, great review. This one sounds amazing. 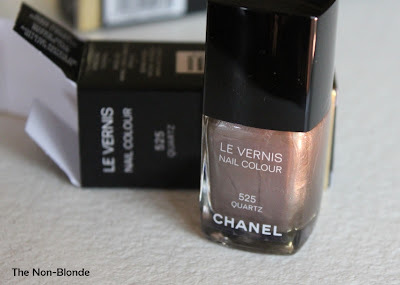 Chanel does the pearl/frosting effect very nicely. I like it very much, very underrate item, in my opinion!